Spurred by the tremendous growth of Nashville and Davidson County during the 1970s, city and county leaders began focusing on an urban renewal initiative that fostered the construction or renovation of several local landmarks, including the Country Music Hall of Fame and Museum, the downtown Nashville Public Library, the Bridgestone Arena, the Nissan Stadium, and others. 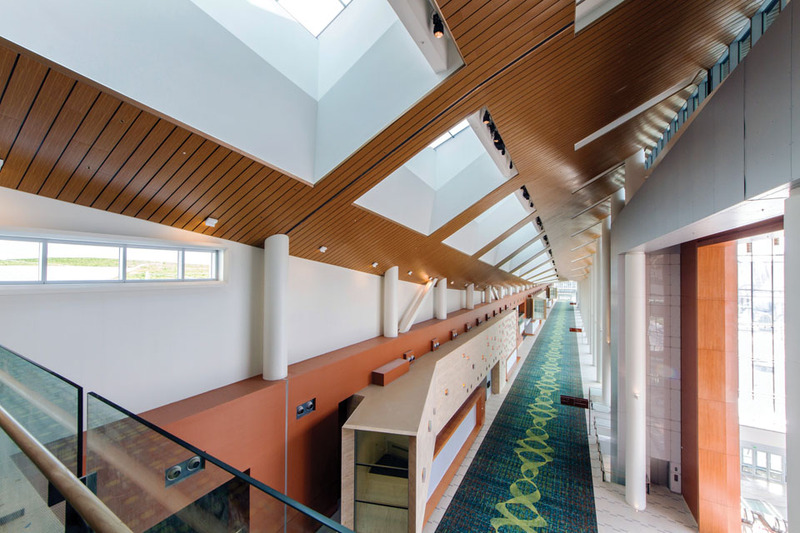 The city’s original convention center was built in the 1980s, and it was felt that a new facility was needed–one that would host visitors to Nashville and also serve as a central meeting point for the city’s residents. 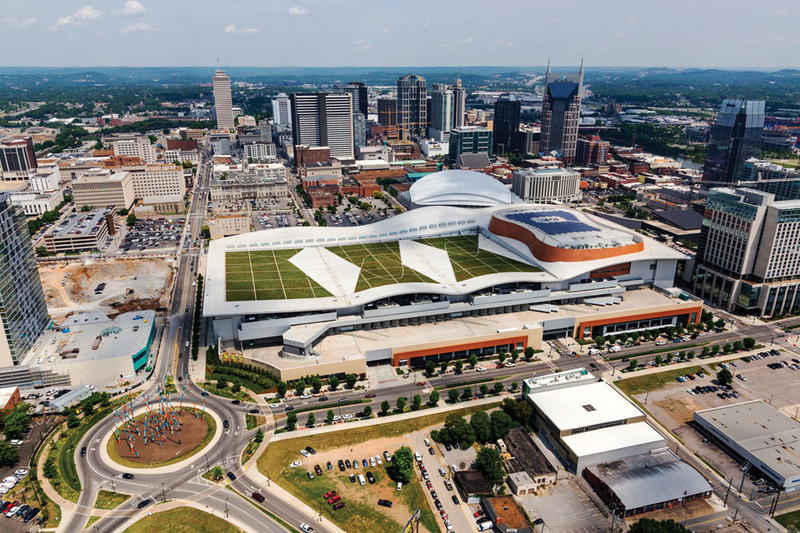 The Music City Center Committee was formed to study the feasibility of expanding the existing convention center or to develop an entirely new facility. Their report in 2006 suggested the best option would be to build a new convention center–one large enough to accommodate 75 percent of the nation’s convention and visitor market. Mayor Karl Dean, elected the following year, announced on the day prior to his taking office that the construction of a new downtown convention center would be one of his top priorities. When the Metropolitan Council of Nashville and Davidson County voted overwhelmingly in 2010 to approve the project, the Music City Center was on its way. The site selected was a 16-acre tract in the heart of Nashville adjacent to both the Bridgestone Arena and the Country Music Hall of Fame. 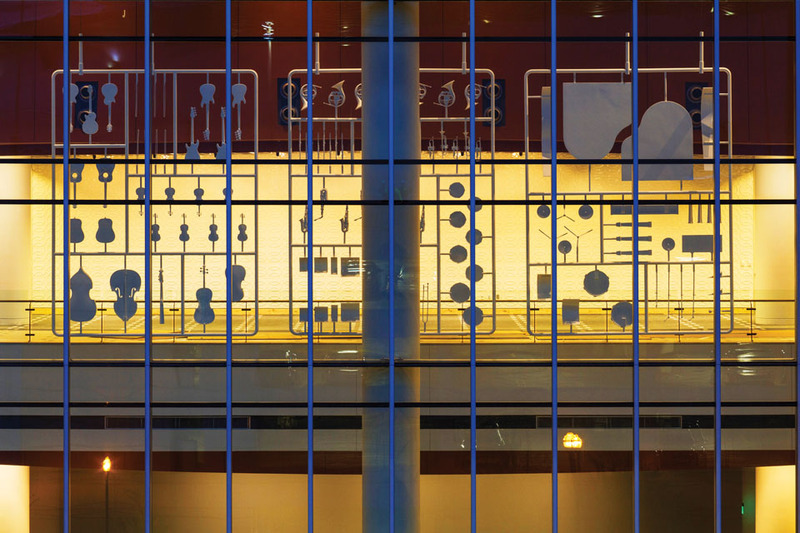 Serving as the city’s “front porch,” the Music City Center would be a gathering spot for first-time visitors to Nashville. They would be just steps away from the Ryman Auditorium and the Broadway honky tonks, the musical venues that helped launch thousands of careers and inspired the city’s nickname. exhibit hall; the 57,000-square foot Karl F. Dean Grand Ballroom and the 18,000-square foot Davidson Ballroom; and 90,000 square feet of meeting space in approximately 60 meeting rooms. Ultimate flexibility and ease of loading and unloading equipment for convention planners was provided through 32 loading docks, and 1,800 parking spaces were provided for attendees. Other touches included the latest in innovative building practices. A 360,000-gallon retention tank was provided where run-off water could be stored and used to irrigate the four-acre green roof and outside landscaping and to flush the building’s hundreds of toilets. 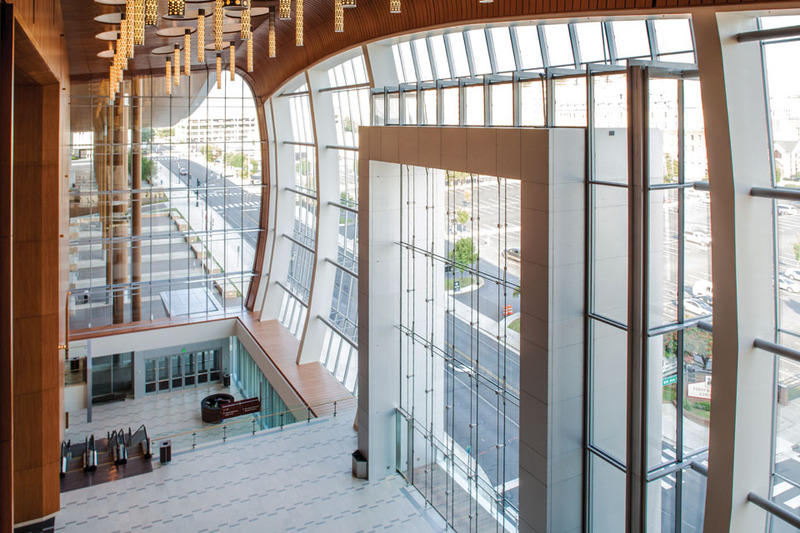 These and other components of the Music City Center led to its certification by the U.S. Green Building Council as a Gold LEED (Leadership in Energy and Environmental Design) certified building. 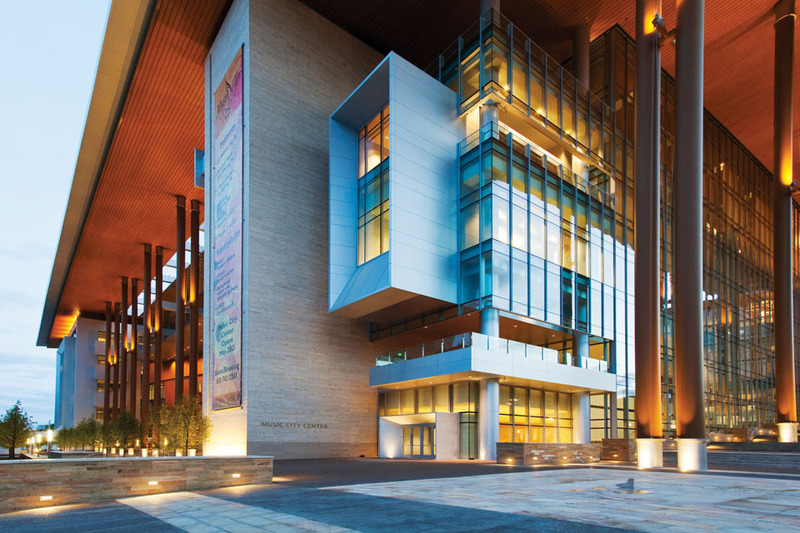 The Music City Center opened in May 2013 at a cost of approximately $585 million. After only three years in operation, it appears that the decision to invest in a new convention center for downtown Nashville was a wise one. 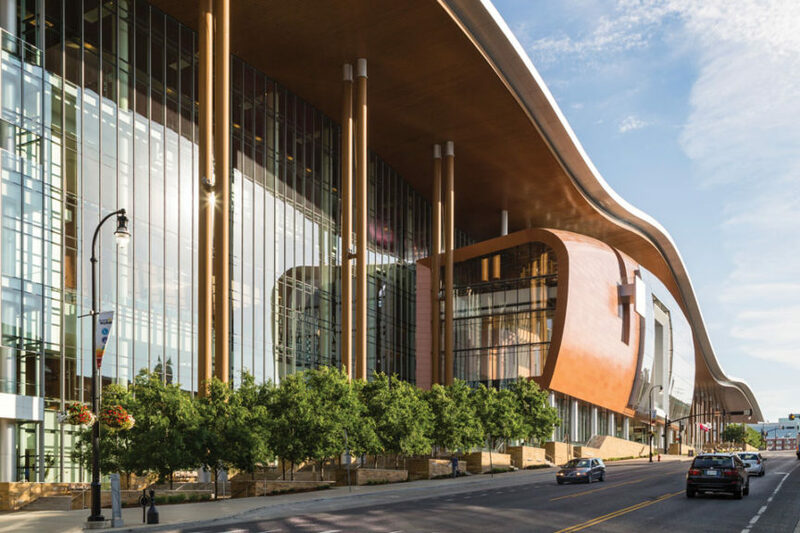 In its first three years, the Music City Center hosted 961 events with 1,929,843 attendees, generating over $1 billion in direct economic impact for the city of Nashville. In addition, the construction of the Music City Center provided hundreds of jobs to local workers and ensured opportunities for minority, women-owned, and small businesses. The Music City Center now provides a safe and healthy work environment for 225 full-time employees and staff, a venue for public art, and environmental sustainability.